The Ninth Circuit recently held that a whistleblower could not intervene in a False Claims Act (FCA) suit filed by the U.S. despite it being based on allegations the whistleblower previously made in a lawsuit that was dismissed. This is another a holding that shows relators in qui tam cases do not get second chances. If the FCA cases to which they are a party do not directly lead to a settlement or jury award, the whistleblowers cannot recover any compensation. In 2009, John Prather filed a qui tam action against Sprint and others stating the businesses overcharged the U.S. for wiretapping services. 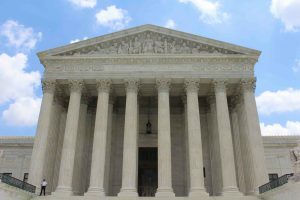 As in all qui tam cases, the U.S. government has time to investigate the allegations and then choose whether to intervene and become a formal party to the case or not intervene. In this case, the U.S. did not intervene and later the district court dismissed the relator’s claim because it determined he was not an original source for the information that led to the allegations. Prather appealed the dismissal of his case and while this case was pending, the U.S. filed its own FCA lawsuit against Sprint for overcharging the government for wiretapping services. The Assistant U.S. Attorney who filed the government’s claim had also been involved in investigating Prather’s qui tam case. Prather moved to intervene in the government’s FCA case arguing that it was essentially an “alternate remedy” for his original qui tam action instead of the government intervening in the case. He argued that he should be able to join the case and recover 15 to 25% of the settlement or jury award. The Ninth Circuit had to determine whether Prather had a protectable interest that would give him the right to intervene and recover compensation. According to the court, the previous finding that Prather’s allegations were based on publicly disclosed information would have barred him from recovering a part of the settlement or award, even if the government had intervened in his original case. The U.S. could have intervened and moved forward with Prather’s case, and yet he still would not receive any portion of compensation. Since Prather could not have recovered compensation, he did not have a protectable interest. Therefore, he did not have standing to intervene in the new FCA suit. Whether this decision has much of an effect on the FCA and potential whistleblowers must wait to be seen. It is possible that when a defendant raises the public disclosure defense, the government will wait to see what happens. If the court agrees that the public disclosure defense is valid and bars the relator from recovering compensation down the road, then the U.S. may be less likely to intervene. Instead, the government may wait for the case to be dismissed and then bring its own suit. Based on this decision, the government can file its new case with the knowledge that the relator cannot come back and ask to recover compensation. Do You Have Information About Fraud Against the Government? If you have information that your employer is overbilling or fraudulently invoicing the federal government, you may have the right to file a qui tam action on behalf of the government. To learn more about being a whistleblower, including your rights and legal protections, contact a San Francisco qui tam attorney from Brod Law Firm at (800) 427-7020.